Pretty soon we'll need a list to keep track of all of Google's to-do list apps now that Timeful, Inc. has been added to its already bursting ranks. Timeful is supposed understand your schedule, habits and needs, according to search engine company, and work across Inbox, Calendar and other Google software. "You can tell Timeful you want to exercise three times a week or that you need to call the bank by next Tuesday," said the search engine company. "Their system will make sure you get it done based on an understanding of both your schedule and your priorities." The standalone Timeful app will remain available for Android and iOS while the team works to integrate its time management technology more broadly into Google's app suite. 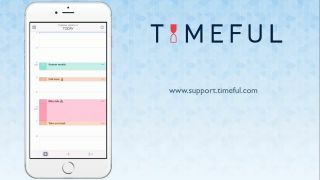 Timeful is the fourth to-do list platform being pushed by Google, but it's supposed to be different in that it wants to understand your day. Everything else from Google is rather static. Google Tasks is still part of Gmail and, stealthy, one of the best to-do list organizers out there. Google Reminders can be added via Search, Calendar or Inbox, but has no central hub. Google Keep launched two years ago as a notetaking app with to-do list checkboxes. It's a more colorful Evernote clone with limited functionality. Will this new app tie them altogether with machine learning or will it become just another option within Google's increasingly splintered ecosystem? Timeful will tell.